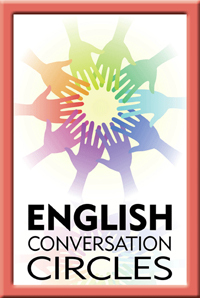 Private Tuition, Conversation Groups, TOEFL & TOEIC, Summer Courses for Children and Adolescents, etc. At The British Centre, we also cater to students of all ages who require Private Tuition as opposed to studying in a group. It is a huge advantage to be able to choose the most convenient time and frequency rather than having to engage fixed hours into your schedule. A student may wish to study towards a public exam, such as TOEFL, TOEIC or IELTS. Being part of a group often prevents the teacher from being able to address your individual needs satisfactorily. Individual classes are the best option for you if you feel you find yourself in this situation.. The cost for individual classes ranges from $295 (General English) to $600 (IELTS Preparation) pesos per hour depending on the degree of difficulty and speciality of the class. In all cases, an interview with Stephen Edmunds, the General Director, is necessary to discuss your exact needs and construct an appropriate course of studies which will address them. Schedules for Private Tuition are at your complete election, but obviously kept within the bounds of our teacher schedules and office hours. However, it may be necessary to negotiate your schedule as the teacher best able to teach you may not be available for the schedule you prefer. The schedule for our Conversation classes is set for Tuesdays and Thursdays from 19:30 to 21:00 at different intervals throughout the year. Each session is self-standing enabling students to come along to any of the sessions but you must have a language level of at least FCE (Upper Intermediate, according to our language programme, to be able to join in successfully. The content for conversation is varied, ranging from current affairs, through sports and world culture to leisure time and even cooking! The cost for these sessions is $2,000 pesos per each 30 hour block, equivalent to $667 per month, and we offer a 20% discount for students currently enrolled in other British Centre courses. Tuesday and Thursday 7:30 to 9 p.m. The director, Stephen, is the teacher on some of these sessions. Taking into account the ever increasing need for teenagers currently studying in Junior High schools, we have created a short TOEFL preparation course for those youngsters who wish to enrol in a bilingual Senior High School whose entry requirements include a certain score on the TOEFL test, usually around 500 plus points. 1. 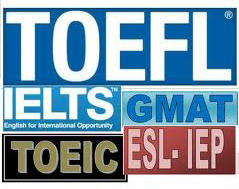 Make an apppointment to take a diagonostic TOEFL test at our school. The fee for this is 350 pesos. 2. Score above 450 points on the diagnostic test. 3. Enrol on the 40 hour preparation course. We 'throw away the grammar books' during these weeks, focussing on learning English solely through a variety of fun activites, such as Singing and Dancing, Drama, Arts and Crafts, Videos etc etc! The core content theme for 2013 is: “IT'S MY LIFE"
The children may come for one, two or all three weeks! The cost per week per child is $600 pesos and there are discounts for contracting two or three weeks. The objective is to make sure the kids have fun while really learning how to express themselves in English!!! The 2013 Summer Course is programmed to begin on Monday 8th July, 2013!! For your convenience, you can drop off your children at 8:45am and collect them at 1:15pm!